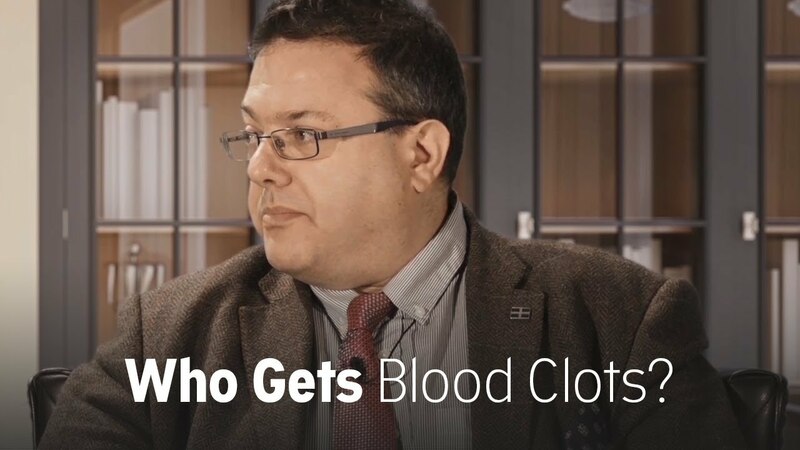 Which cancer patients get blood clots? As Prof. Simon Noble, MD, says, cancer patients have an increased risk of blood clots compared to the general population — mainly because the cancer tumour releases molecules into the blood that can make the blood more sticky. However not all cancers are the same, and not all stages of cancer are the same. Blood from patients with brain, pancreas, lung or ovarian cancer is more prone to form blood clots than that of patients with breast or prostate cancer. If the cancer has spread to other parts of the body — also known as “metastasis” — it can increase the risk of blood clots 19-fold. Also, certain types of chemotherapy further increase the risk.